Our Mission is to equip pastors and missionaries to establish Christian churches that endure. Our Vision is to form disciple-making relationships with pastors and missionaries in difficult locations in order to facilitate church planting and growth; inspire spiritual maturity and discipleship; and, to develop self-sustaining churches. As of 2019, GMI retains its GEOGRAPHIC FOCUS in Cuba. Here we continue to support GCC and the Pastors, Missionaries, and Training Centers with mentoring and training. We also remain partners with PMI in the inductive Bible study ministry. To see how you can minister in the areas managed by our partners, click on the appropriate header at the top of this page. 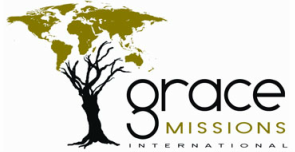 Mail - Grace Missions International, Inc.